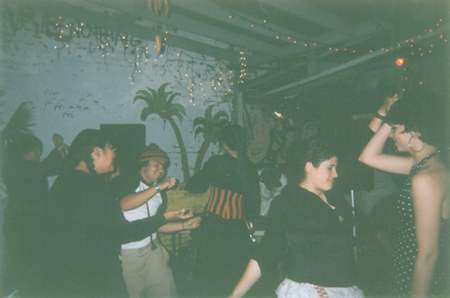 About 50 people showed up to the "Anarchist Pirate Prom" on June 1st, which was held at the infamous Long Beach Infoshoppe. The prom got off to a slow start at first, but kicked in as the night rocked on. Food was served and people hit the dance floor as the DJ ripped a verity of phat tracks. The event lasted until about 3:30am, with luckily zero police harassment. Thanx to all for supporting the Long Beach infoshoppe at the Pirate Prom and having a good time! Hopefully we can have more events like this to bring people together and spread some positive energy.